See what makes Safari extensions tick. Is there a better alternative to Extension Unpacker? Is Extension Unpacker really the best app in AppleScript category? Will Extension Unpacker work good on macOS 10.13.4? Extension Unpacker needs a review. Be the first to review this app and get the discussion started! Extension Unpacker needs a rating. Be the first to rate this app and get the discussion started! 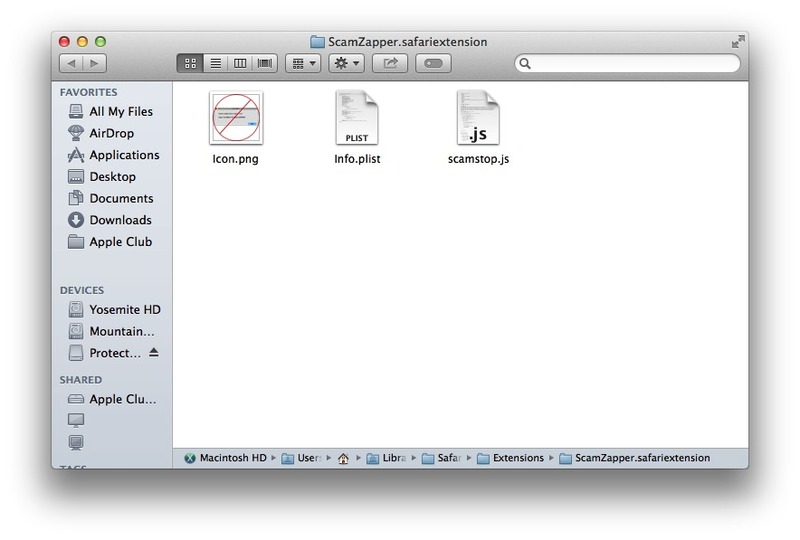 Extension Unpacker lets you unpack Safari extensions to see what files they contain. If you are worried about the safety of an extension, or are just curious about how it works, this app can help you out. It is perfect for users who are not comfortable with using the command line interface (Terminal) to accomplish the task, and for those who are, the app provides a user interface and will automatically take you to the extension's file directory when it is done unpacking. Another major feature is that Extension Unpacker (1.2 or later) can detect adware Safari extensions, and either delete them for you, or unpack them so you can examine their files if you're not sure that they are adware.